“The idea of section and movement has often been obscured in the facade,” explained Weiss. But if sequence, section, and movement can instead be revealed by or encoded in the building envelope, “we could also look at the facade as something not so much tied to reductionist modernist ideals of what glass can be—that is, transparent.” Among the six projects Weiss will highlight in her talk are three that treat glass “as a material that has a presence, that has a life”: the Krishna P. Singh Center for Nanotechnology, the Novartis Office Building, and Barnard College Diana Center. WEISS/MANFREDI has also explored the surface potential of materials beyond glass. 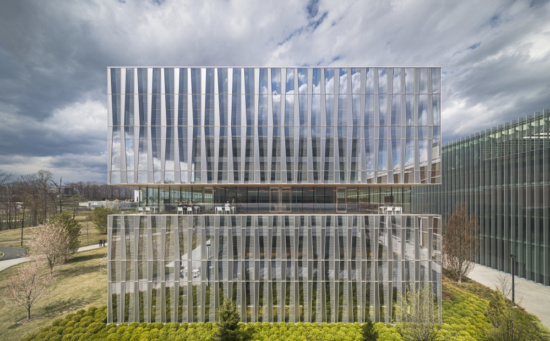 For the just-dedicated Kent State Center for Architecture and Environmental Design, the architects worked with brick maker Belden to apply ancient technology to a custom pattern that inverts the usual focus on the ground plane. 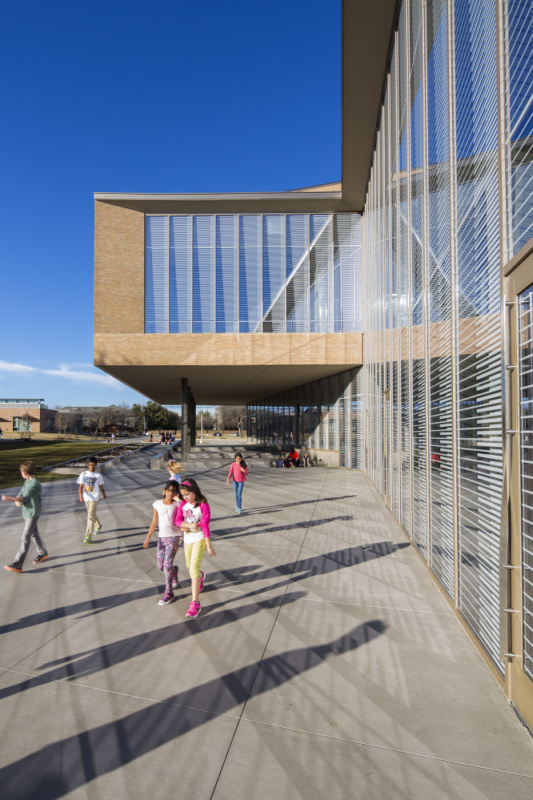 The facade of the Marshall Family Performing Arts Center near Dallas similarly examines the “tug between section and surface,” said Weiss, through a combination of earth-colored brick and fritted glass. Finally, said Weiss, the fifth facade—the roof—has the capacity to act as a “chameleon,” as at the Brooklyn Botanic Garden Visitor Center. There, the rooftop garden, overlaid on a glassy conservatory roof, expresses the “tension between complete transparency and the surface of the ever-changing medium of the roof,” she explained. Hear more from Weiss and other thought leaders in high-performance facade design at Facades+Dallas. Register now to secure one of the few spaces remaining.